If you wanted your house painted you wouldn’t call the best plumber you know… would you? So why choose just any imaging center when you need a test for a women’s-health concern—like breast cancer or osteoporosis screenings, or diagnosis of female pelvic pain? 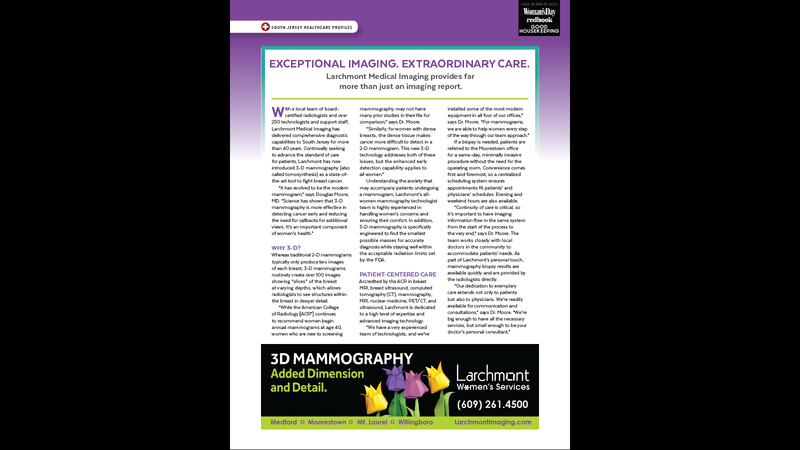 But now you can relax, because you’ve come to the right place: Larchmont Medical Imaging. Yes, we operate full-service imaging centers with the equipment and team to safely and accurately meet the diagnostic needs of women, men, and children across the lifespan. That said, our physician team also includes highly trained experts who have dedicated their professional careers to excellence in women’s imaging. So when you choose Larchmont, you can rest assured that you’re choosing the right doctors with the right diagnostic expertise for the specific health issues that affect you as a woman.